Danstar Productions has a new look! DanstarProductions.com, a music publishing and production company based in Malibu, California, is pleased to announce the launch of its all new website. The new site promotes the songs of Soroca & Allocca, Songwriters, and their boutique catalog of tracks, which are all available for easy, one-stop licensing to film and TV. Expert design services were supplied by bluefishdesigngroup.com. Enjoy! For further information, please e-mail contact@danstarproductions.com. 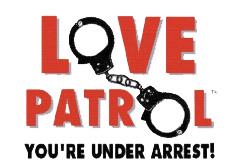 Danstar Productions is pleased – and more than a little surprised – to announce that songwriter Janet Marie’s first song, “Love Patrol”, co-written with accomplished producer Bill Kole, has been licensed five times in a row! The R& B, Barry White sound-alike theme has been very popular a music bed for international commercials, including Dare Ice Coffee in Australia, Poltrone Sofa in Italy, and a promo for famed ad agency Saatchi and Saatchi (Europe). A close musician friend of Janet advised her early on that the music business was not linear. He couldn’t have been more right. In the music business, you never know what song will hit, the last one you wrote…or in this case, the first!